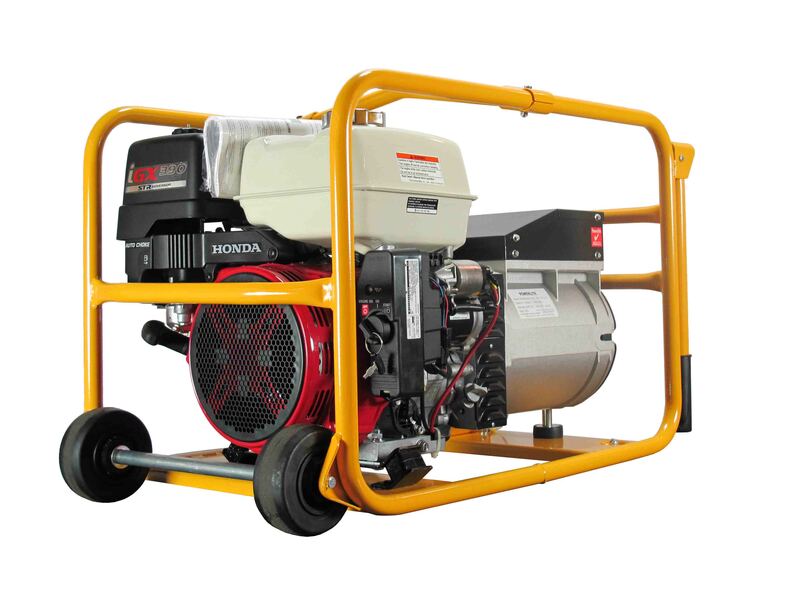 6,800W Petrol Powerlite Generator, powered by Honda, electric & recoil start with RCD, 2 weatherproof socket outlets, wheels & handle frame & battery. Ideally used for portable electric tools, 140 Amp welder (on light duty), shearing plant, air compressor (with up to 2.2kW electric motor), heaters, lights, appliances and excellent motor staring and welder performance, provided that the total power consumption at any one time is less than 6,800W. Model also available in recoil start PH08024000. 2 year generator warranty and 3 year engine warranty. Warranty is subject to inspection by Powerlite, an authorised service agent or the manufacturer. Warranty claims take into consideration that the user has followed the manufactures servicing and maintenance requirements. A well kept maintenance log book is important for warranty claims. 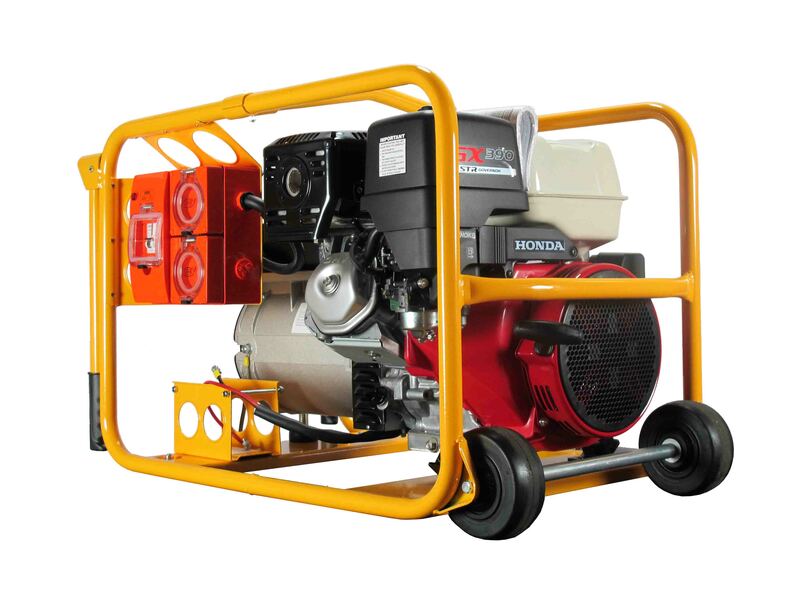 5,600W Petrol Powerlite Generator, powered by Honda, recoil start with earth leakage/main circuit breaker (RCD) protection. 6,800W Petrol Powerlite Generator, powered by Honda with recoil start. 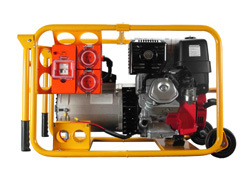 6,800W Petrol Powerlite Generator, powered by Honda with electric & recoil start and battery.